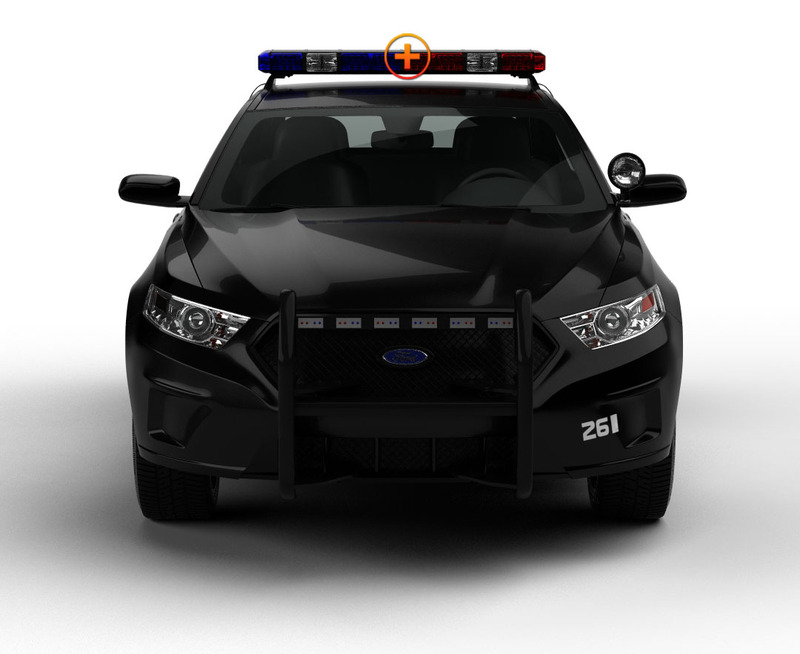 If you’re a volunteer first-responder, the Pilot 11 is a handy little light bar to have in your POV at all times. It doesn’t take up much space, and it’s ready to TAKE ACTION the moment it’s needed, just like you are! It’s got 24 Generation IV 3-Watt LEDs in sets of 4 on all sides. The 4 heavy-duty magnets keep it securely in place as it flashes 72-watts of high-intensity light in a full circle of 360° from the rooftop. The TIR lenses create highly visible, focused (SAE Class 1) beams which are the industry’s brightest; they can be seen for miles! The controls with ON/OFF and Flash Pattern switches plug into the cigarette lighter for easy reach; it has a 9’ cord. The entire light...lenses and housing...is made of almost indestructible polycarbonate; it’s shatter proof, doesn’t scratch, and the lenses stay clear and bright. The Pilot has a rubber gasket that seals it tight, meeting the highest rating, the IP-67 standard for particles and moisture. It has 8 flash patterns with pattern memory that come in your choice of 5 solid or 6 split-color combinations. High-performance, excellent quality and durability; that’s the Pilot 11! 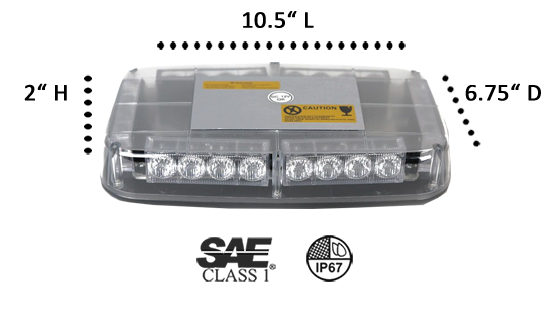 There are many standards in the emergency light industry which regulate every aspect of a vehicle, from bumper to bumper and from top to bottom. Extreme Tactical Dynamics is dedicated to maintaining a high level of excellence for ALL that we sell. We are keenly aware of All the guidelines, recommendations, and laws that are in place so that products are safe, highly efficient, and perform well. ETD has created a great source of information on various areas of this industry from Classification of LEDs to Regulatory Agencies on our website; it called Knowledge Base. Why not...Check it out! So....i got my pilot 11 late last year and my friend wanted to borrow it and he fell in love with it so he wanted me to order one for him I think this little light is an awesome value for the price, quality and brightness you get out of this little thing it works on any vehicle big or small ETD I think you just gained another customer!! Recently purchased this light for a truck that is used to plow snow, to replace the old rotating light that was on it. The light is just like shown and is very bright. I like its small size and light output. I will be ordering more. I just got this light. Let me tell you it was an awesome decision! For as small as it is it has an amazing light output even in direct sunlight! This paired up with my element 40 visor bar is an inexpensive but amazing setup! Thanks Extreme Tactical Dynamics! I added this to the top of my POV so I could get full 360 degree warning power. This little light bar sure does pack a punch. It holds up in the rain and the lenses are still clear after 1 full year of use. I purchases this light bar for the top of my construction truck for when I am sitting on the side of the road. At first I thought this light bar will be way to small to even see. Oh boy was I wrong. This thing when turned on is so bright. I still can not get over how much light output it produces. I bought this light about 1 year ago and mounted it on the roof of my construction vehicle. Very Bright and very sturdy. I recently bought the Pilot 11 Mini Light Bar. All I can say is WOW. This light is amazingly bright. We put it on top of our police golf cart.